American Women, Please Vote Today! Apologies for being totally off-topic today, but this is an issue that, like art forgeries, is very near and dear to my heart. But our right to vote is something we should embrace and cherish, and exercise at every opportunity. This is especially true for women in this country. Why? Because we were only granted the right the vote less than a century ago. It was not until 1920, when government was forced to recognize the enormous contribution of women to the labor force during World War, that women were granted the 19th Amendment. Prior to that, women were imprisoned and even force fed through their hunger strikes if they dared to picket the White House and demand the right to influence and change government. In the end, I don’t really care who you vote for, as long as you vote intelligently and with conviction. 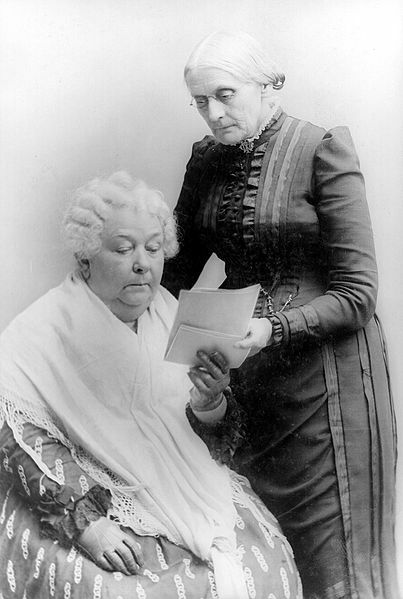 And spare a thought for Elizabeth Cady Stanton and Susan B. Anthony, who fought for women’s suffrage and never lived to see it.